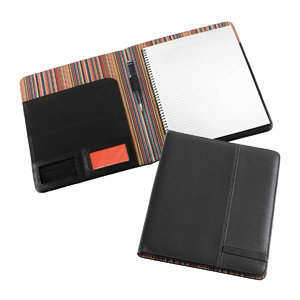 This Pad Folio has a bright and colorful stripped interior to help brighten up your day. 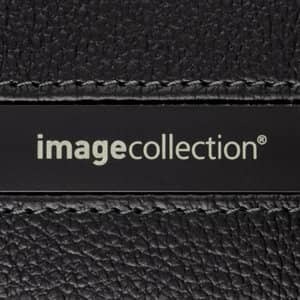 The cover is made from a textured leather-look material which gives a premium leather look and feel, without the premium price tag. The black anodised aluminium strip can be laser engraved for that subtle decoration effect. Includes a 30 page spiral bound notepad, pen loop, business card holders and inside pocket. Supplied in black box.